It goes without saying that the recently released Cyberpunk 2077 gameplay trailer was simply magnificent. The nearly hour-long demonstration made it evident why CD Projekt Red has been taking such a long time to finish development, almost twice than what it took the same Polish team to prepare The Witcher 3: Wild Hunt. It is all about the massive scale and how much work is being put in to make the futuristic setting as believable as possible. However, as it is with any work in progress, there were a few hiccups in the footage. Keep in mind that these were not disruptive in any way and many viewers would probably not have even noticed them. In fact, the minor snags only add to the authenticity of the gameplay trailer and ascertain that CD Projekt Red is not attempting to hide anything from fans. 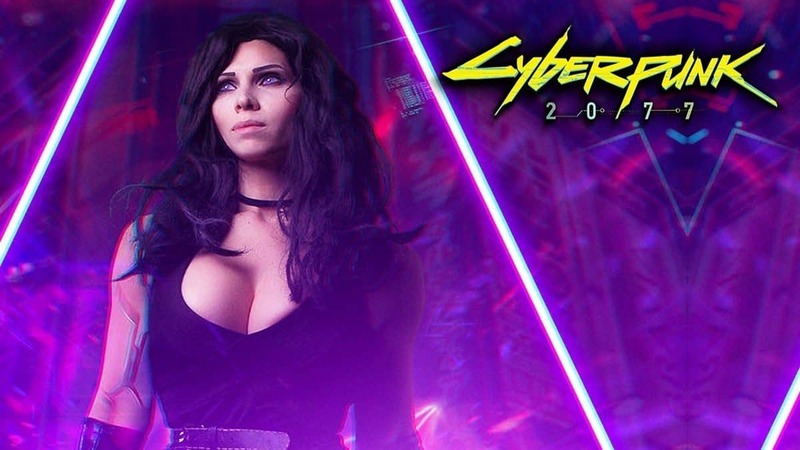 Suffice to say that the developer is expected to fine-tune Cyberpunk 2077 before releasing it worldwide. Until then, the following is a compilation of every bug and glitch noticed in the footage. It is at the 3:15 mark when the gameplay trailer demonstrates the “Kereznikov” ability by momentarily slowing down time through a reflex booster. When the enemy target gets riddled with bullets, he jerks to the wrong direction in his death animation. The ragdoll physics would suggest that he took the force from his right-hand side when it was actually from the front, meaning that the target should have actually flown backwards. Such inaccurate death animations were a norm in The Elder Scrolls V: Skyrim and pretty much staple to the Creation Engine used by Bethesda Softworks. Their rate of occurrence was so high that they became a meme on the internet. It does not appear that this would be the case for Cyberpunk 2077 since there was extensive combat in the gameplay trailer and majority of the kills ended without any funny reactions. When the missing person is finally found at the hideout, she is discovered to have been kept on ice by the Scavengers for her cybernetics. After stabilizing her vitals, the protagonist picks her up in her arms to take her outside. It is at the 6:15 mark when her naked breast can be seen twitching for no apparent reason. In addition, the Trauma Team shows similar symptoms when they arrive to retrieve their client. The medic placing a stretcher can be seen wobbling around the 6:45 mark during his walk cycle. Zooming in clarifies that the legs are actually shaking from the knees below, which also splinters the impending shadows. Such issues with character models are pretty common in role-playing games. The large scale also makes it incredibly difficult to polish each and every scenario since most often, these issues are a result of their immediate surroundings. Hence, Cyberpunk 2077 will likely have these character-related problems upon release but on the positive side, the ones discovered so far are too minor to impact immersion. There are two prominent factors working in tandem to make the futuristic setting as believable as possible. These include a seamless experience with no loading screens and a richly populated environment. Such high density will always impact performance benchmarks unless the draw distance has been finely optimized. When the protagonist leaves her apartment to go out into the bustling city, several objects in the world are missing from view. They only pop into existence when coming near. Notice the garbage truck in the background at around the 12:43 mark, and the zebra crossing in-front at around the 12:46 mark. There are also a few character models without their heads that only appear once they walk closer to the center from the right-hand side. In addition, characters walking past in the far building at around the 16:48 mark simply vanish before reappearing a second later. This should be amended in time for the release because the problem is not that wide spread. In all honesty, a few objects pulling a Houdini act should not even be an issue since they are unlikely to be noticed in such a dense environment in the first place. The entire premise revolves around transhumanism and how everyone has accepted cybernetics to become more machine than man. In other words, there is going to be an abundance of shiny hardware. When the protagonist takes a drive with Dexter DeShawn for her next contract, the lighting seems impressive enough at first. His gold-plated bionic arm shows off smooth reflections as the ride begins. However, notice that the shaders suddenly swap in less than a second at around the 14:41 mark when the global lighting changes due to an overpass. In another instance, the shadows from the beams in the background at around the 27:51 mark do not transition smoothly as well. When the protagonist moves closer to the devious corporate agent, all the shadows behind swap in an instance to relocate. Excellent lighting is always important and this is something that the developer will need to comb through. Seeing a character unintentionally move through walls or the terrain is very common and the problem is only amplified once the setting enlarges to accommodate an open world. When the protagonist visits the Ripper Doc for some upgrades, she finds her partner Jackie Welles sitting there as well. Taking the opportunity, she hands him the mission shard obtained from Dexter DeShawn. It is at around the 18:28 mark when the attendant turns around with her leg going through the large vase on the ground. In another instance, the corporate bodyguard at around the 27:59 mark can be clearly seen positioning his sidearm right through his own body. The city itself also has these glitches and faces in the crowd sometimes walk into each other as if they were anything but solid. This ailing problem in games is fixable. However, each and every case needs to be reported by testers or players and hence, it will take time and patience before they are all sorted out. The Witcher 3: Wild Hunt had a similar problem. Geralt would sometimes move out of his armor when bending forward. Did you by chance find any other bugs and glitches? Let us know in the comments below. 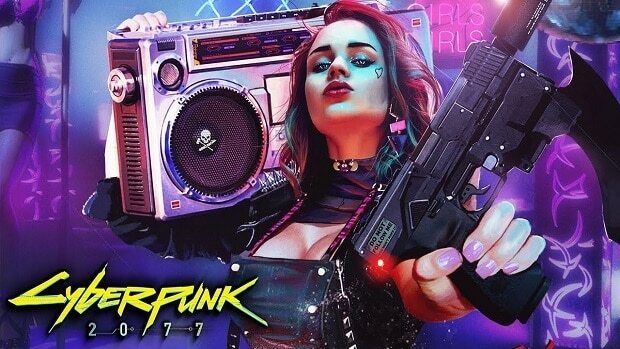 Cyberpunk 2077 has been in development for around six years and is rumored for a release within the second quarter next year for PlayStation 4, Xbox One, and PC. The long wait certainly appears to have been worth it.